Gain Flings Original Scent Laundry Detergent Pac, 72 count per pack -- 4 per case. by Gain at Blog Free Here. MPN: 86792. Hurry! Limited time offer. Offer valid only while supplies last. Gain Flings Original Scent Laundry Detergent Pac, 72 count per pack -- 4 per case. 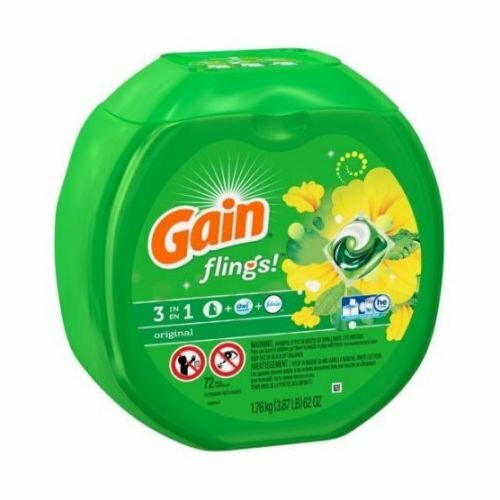 Not only are Gain flings easy to use, theyre easy on the nose.